Add magic to your Christmas party! When performing at events I use a combination of sleight of hand, memory feats, psychological reading and hypnotic suggestion. This creates a style of entertainment that is both fun and engaging. 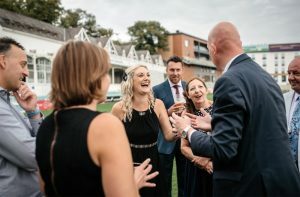 Combining my interactive style, unique sense of wit and a persona that grabs attention; I create an exciting, fresh, lively genre of entertainment – perfect for interacting with your guests and initiating conversation that will go on long after I’ve have finished. Or, to put it another way; I can go up to the group that have been at the bar since three in the afternoon, show them something that will make their heads spin, and leave them in need of (another) drink. I perform at all different types of events such as weddings, parties, corporate hospitality events, Christmas parties, birthdays, military piss-ups, awards galas, trade shows and exhibitions. Essentially, if you have a group of people in a room (or outside, if it’s a nice day) and you want to ensure they don’t just stare at each other blankly for a couple of hours and moan about it afterwards then you probably need to book a magician. And if you want to book with confidence then it makes sense to book me. The versatility of my magic (remember that bit where I said I use sleight of hand, memory techniques and hypnotic suggestion?) 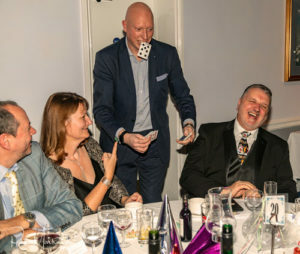 means I can entertain whilst mingling with guests during a reception, between the dinner tables as well as a stand-up mind-reading cabaret show. I have a varied repertoire of material and constantly adapt what I’m performing (literally group by group, table by table and person by person) to ensure they see the material that will make the biggest impact on them. And BOOM!, instant talking point. From freaking out teenagers with some Dynamo style close-up magic, controlling minds like an un-bearded Derren Brown or dazzling the OAPs with dealings a Royal Flush from a shuffled deck of cards (and no, I can’t come to the casino with you afterwards); it is true that I have the skills, and as magic has been my primary source of income since 2006 those skillz really do pay the billz. Sounds brilliant, doesn’t it? Too blooming right it does. You want to book me now, don’t you? Well, you should. Other people have and they all agreed they were glad they did. I know that for a fact – I did a survey. 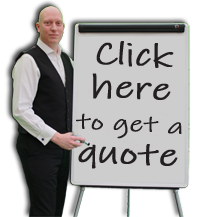 Well, get on and contact me for a quote. You can get an instant quote and book me within the next five minutes by registering for the client area – even if it’s 3am and you’ve been drinking gin. Or you can fill in the form on this page, or drop me an email, or even give me a call. Please note: you can not fax me, because it’s not 1987 any more. Neither can you send an owl. I’m not Harry Potter, and I didn’t go to Hogwarts. Grow up. 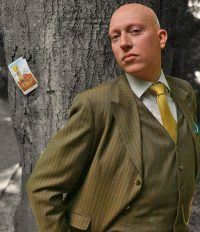 By the way, never book a magician who hilariously adjusts their Facebook profile to say they studied at Hogwarts. Trust me on that one. So as I said (and I’ll repeat it, not for your benefit, but for the old Search Engine Optimisation) I’m a full-time, fully insured professional mind-reader and magician. 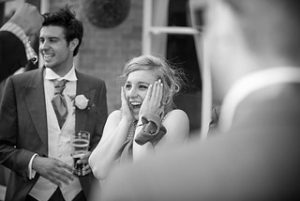 You can rest assured that your guests will be in capable hands seeing some amazing entertainment. Whether your guests all know each other or are complete strangers and need something to break the ice so they don’t stand around in an awkward silence, my interactive performance (either on stage or close-up) is a real conversation starter. I’m based in Berkshire, and therefore have easy access to London (either along the M4 or the train – did you know it’s just half hour from Reading Central to London Paddington?!). I can get around the Home Counties with ease, pop down to the South Coast, and Birmingham and Bristol aren’t too far either. You can book me with confidence, having turned full-time professional in 2006 I have a wealth of experience and should the worst happen I have £10 million Public Liability Insurance. Seriously though, how I’m going to cause £10 million of damage doing card tricks is beyond me. To put it another way, I’m not a hobbyist earning a few extra quid on a Saturday afternoon, but an experienced professional magician; and therefore I provide you with a top quality professional service. To put it even more simply, the boring stuff is taken care of so you can get on and enjoy yourself. 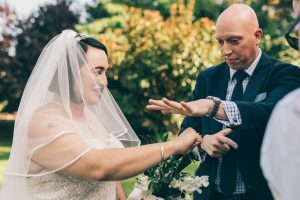 As an experienced magician my performance style is as entertaining as it is baffling and creates a fantastic experience for your guests. 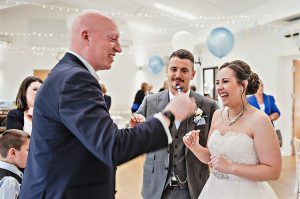 The style is full of comedy and hands on interaction, as well as creating a memory your guests will remember for years to come. I make an effort to remember everyone’s name and what tricks I show them so as I mingle with them I can build on the experience and it becomes a lot more personal to them. Funnily enough people think that remembering names is a trick, it isn’t I just take notice of what people say to me. Saying that, if I bump into you in Tesco’s the next day it’s likely I’ll have no bloody idea who you are. It’s to do with techniques I use for short-term memory, versus long-term memory. But here isn’t the place to get into such details, you just want to know that you’re booking someone who considers these details important.